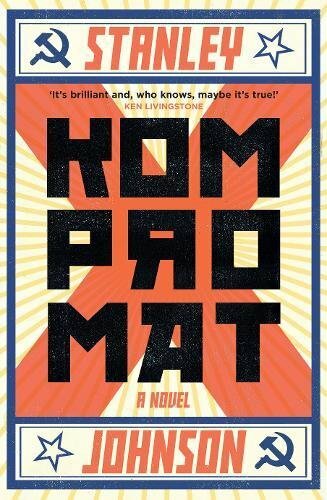 Stanley Johnson’s Kompromat is a brilliant satirical thriller that tells the story of 2016’s seismic and unexpected political events on both sides of the Atlantic. The UK referendum on Britain’s membership of the EU was a political showdown the British PM, Jeremy Hartley, thought he couldn’t lose. But the next morning both he and the whole of the rest of the country woke in a state of shock. America meanwhile has its own unlikely Presidential candidate, the brash showman Ronald Craig, a man that nobody thought could possibly gain office. Throw into the mix the cunning Russian President Igor Popov, with his plans to destabilise the west, and you have a brilliant alternative account of the events that end with Britain’s new PM attempting to seek her own mandate to deal with the Brexit related crisis and America welcoming its own new leader. Now in development for a major new TV series, Kompromat is a fast-paced thriller from a true political insider, and who knows, it just might all be true!